Sometimes, buying used items are a good way to save money. However, there are a few reasons why buying a used car seat is not recommended. If you are looking to save some money, buying a new, cheap car seat may be a better option than buying a used car seat. This car seat fits the tiniest of newborns, starting from 4 pounds. The weight limit goes up to 35 pounds. The Evenflo Embrace has a soft head pillow that helps cradle your baby as she develops. Evenflo has gone above safety standards and tested all of their baby car seats at energy levels about twice the federal crash test standard. 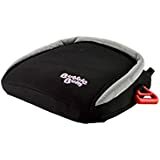 They also sell a separate car seat base, which is helpful if you have more than one car and want to switch between them. 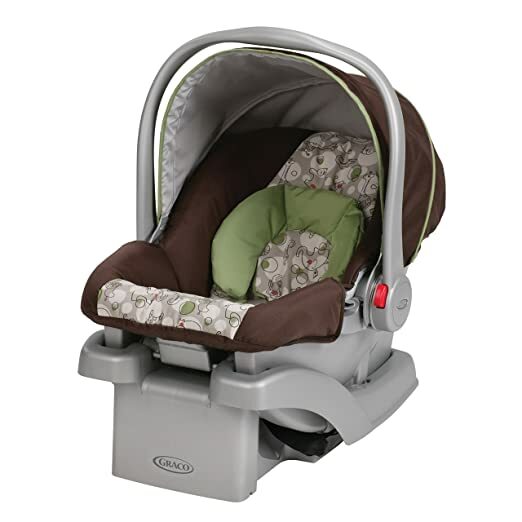 The Graco Snugride Click Connect 30 fits infants from 4 – 30 pounds. 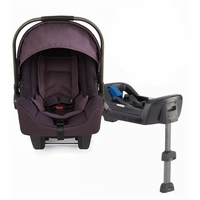 The Click Connect system provides a 1-step secure attachment between infant car seats and all Graco Click Connect Strollers to create your own custom travel system. 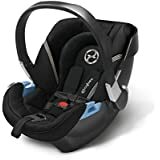 This car seat has comfort features, including a removable newborn head support, which offers soft cushioning and support for your baby’s head. Safety features include EPS, energy absorbing foam and 5-point harness. It is also lightweight, which makes it easy to transport from the car to the stroller and everywhere else. 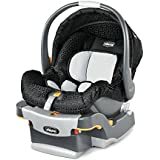 Check out our review for a similar infant car seat, Graco Snugride 35 LX Click Connect, which is available in tangerine color for $107.99. This rear-facing infant car seat fits babies from 4 to 35 pounds. The LiteMax features Sure Safe Latch guides to make proper installation easy in vehicles equipped with lower latch anchors. There is also a central pendulum level indicator that lets you know whether the seat has been installed at a proper recline. The LiteMax also has a temperature regulating fabric that keeps your baby comfortable during cold or hot weather. Other features include removable head and body pillows, buckle pockets, machine washable pads, and full coverage canopy with zip out panel. 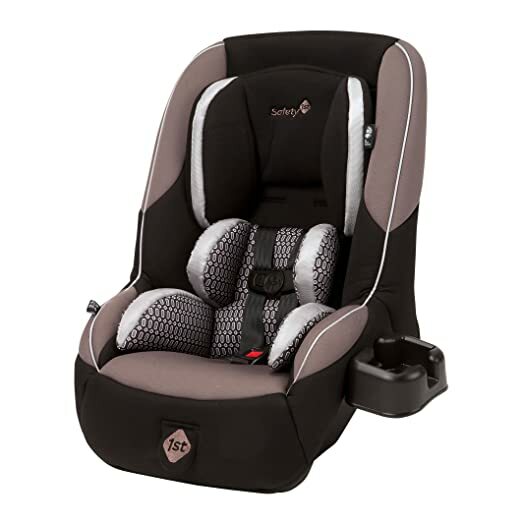 The Safety 1st Onboard car seat fits infants from 4-35 pounds. Safety features include Air Protect +, which combines the advanced protection of its Air Protect cushion system for better head protection with its Cell HX foam designed with hexagonal shapes for superior protection around your baby’s torso. Together, they provide full body side protection. Its harness is specially designed to fit smaller babies and it has additional leg room to accommodate your growing baby in a rear-facing position. 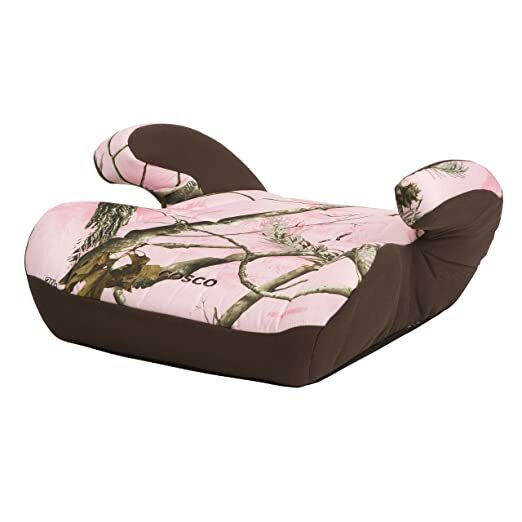 This seat is also available in a pretty pink color for $123.29 and black color for $112.50 on Amazon. Check out our Safety 1st onBoard 35 Air Review. This Baby Trend car seat fits babies from 5-30 pounds. It features an easy one hand front adjust 5-point safety harness so that you can easily adjust and ensure proper fit for your child. Other safety features include the EPS energy-absorbing foam for side impact head protection. It is easy to install with their exclusive Flex-Lock latch system and height adjustment. 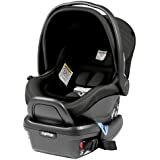 Check out more affordable infant car seats. 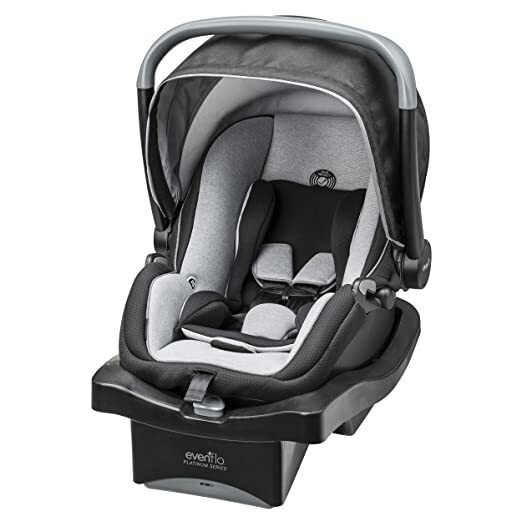 The Evenflo Tribute Sport convertible car seat fits infants in the rear-facing position from 5-30 lbs and toddlers in the forward-facing position from 22-40 lbs. It has 4 shoulder strap positions and up-front harness adjustment, allowing you to easily accommodate your growing children longer. 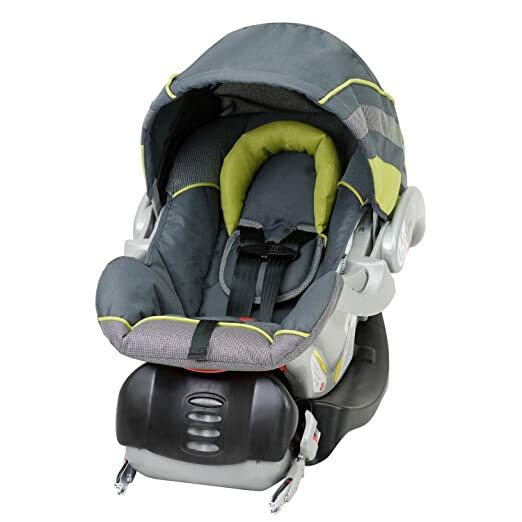 Safety features include energy absorbing foam liner and a 5-point harness system that provides a secure fit. 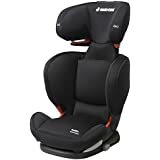 Amazon has this car seat available in Maxwell for $38.88 for Prime members only (30-Day Free Trial ). It is available in grey color for all members for $59.99. 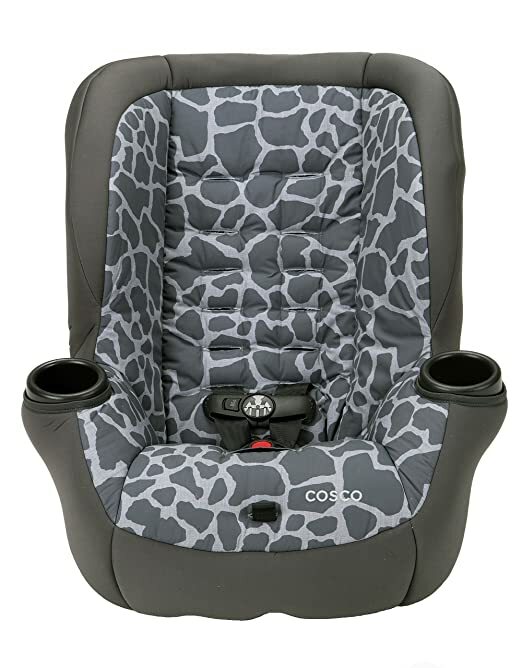 The Cosco Apt 50 convertible seat fits babies in the rear-facing position from 5-40 lbs and in the forward-facing position from 22-50 lbs. 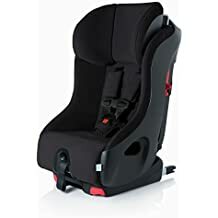 The seat comes with 6 harness heights and 3 buckle locations so that you can easily adjust it to fit your kid as he grows. It comes with 2 cup holders so that your child can keep a drink or snack closeby. The Cosco Apt 50 is also certified to use on aircraft. 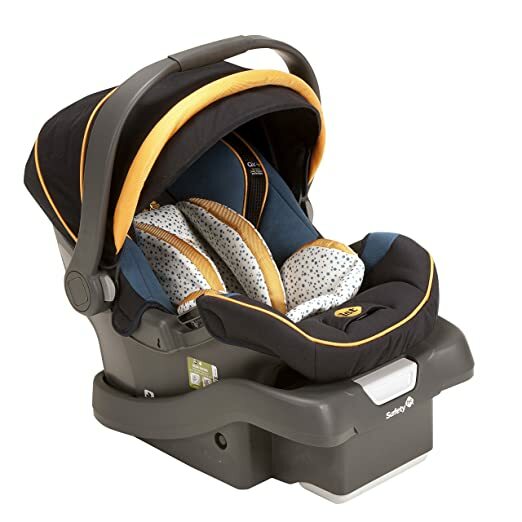 Amazon has this car seat available in Kimba Giraffe for $49.50 for Prime members only (30-Day Free Trial ). It is available in black color for all members for $65.98. 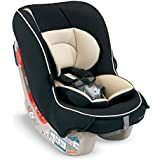 Graco My Ride 65 Convertible car seat protects babies in the rear-facing position from 4-40 pounds and in the forward-facing position from 20-65 pounds. 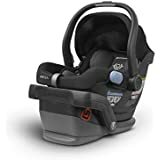 Its rear-facing mode has a higher weight rating than many infant car seats, which allows you to keep your baby in the rear-facing position for longer. 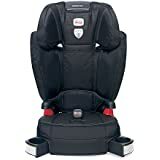 Amazon has this car seat available in Go Green for $89.97 for Prime members only (30-Day Free Trial ). It is available to all members in pink and grey for $109.97 and in blue and grey for $119.99. Safety 1st Guide 65 allows your baby to sit in the rear facing position from 5-40 lbs and in the forward-facing position from 22-65 lbs. Its compact design is perfect for smaller cars. There are 5 harness heights and 3 buckle locations to ensure proper fit. It has a multi-position adjustable head rest, perfect for growing children. There is also a removable cup holder. 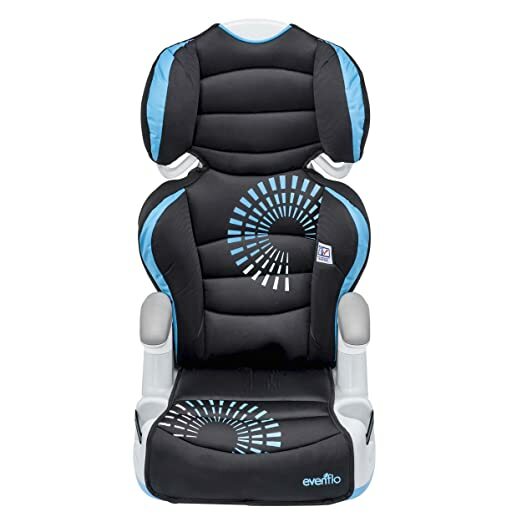 There are 2 kinds of belt-positioning booster car seats: booster seat with high back and backless booster seat. 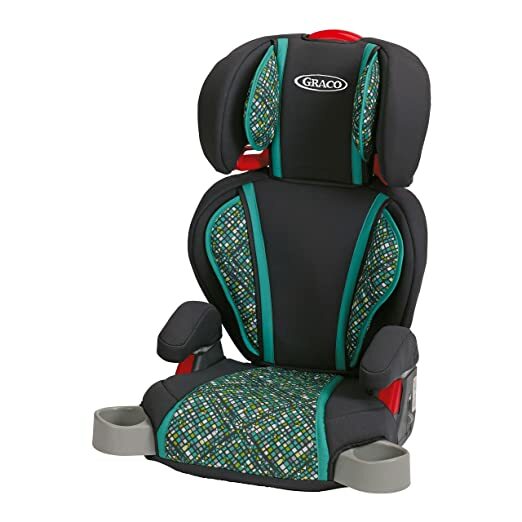 The Cosco Topside Booster Seat is designed for children 40 to 100 pounds. It features an extra-plush pad and gives children the extra height they need to keep seatbelts properly positioned. It is also lightweight, making it easy for us to move it from car to car. 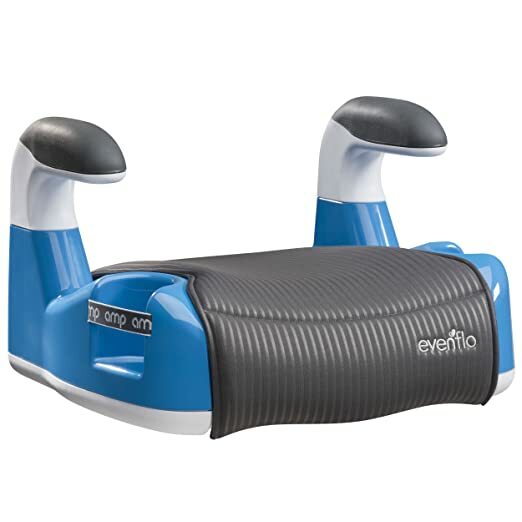 This Evenflo No Back Booster Car Seat fits children from 40 to 110 pounds. Its contoured padding is great for long journeys. It features elastic dual cup holders so your child can easily access his drink. The pad can also be removed to be machine washed. 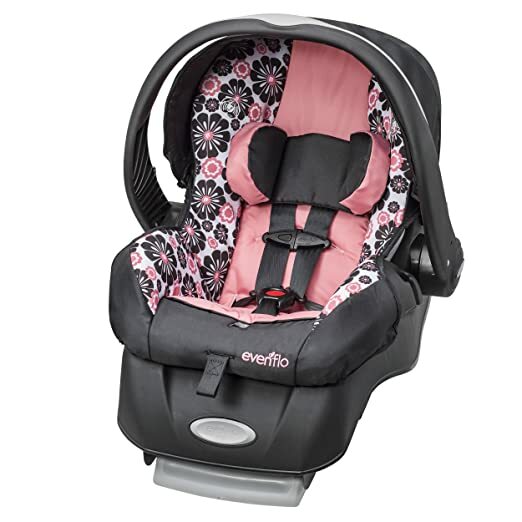 This Evenflo Big Kid Booster Car Seat fits children from 30 pounds to 110 pounds. It’s 2 seats in 1, meaning that it also transitions into a no-back booster. 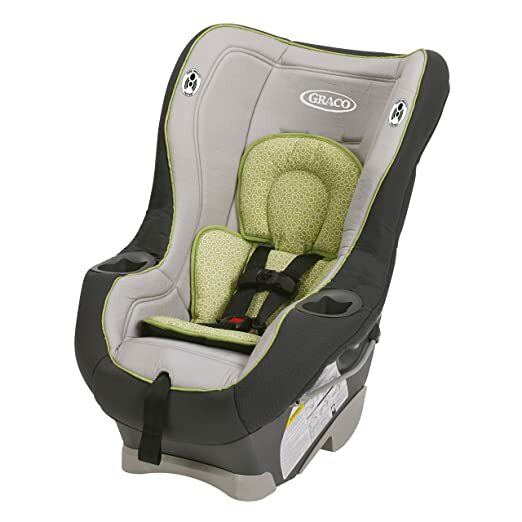 There are 6 height positions and the back adjusts as your child grows. There are elastic cup holders so your kid can easily access a drink or a snack. 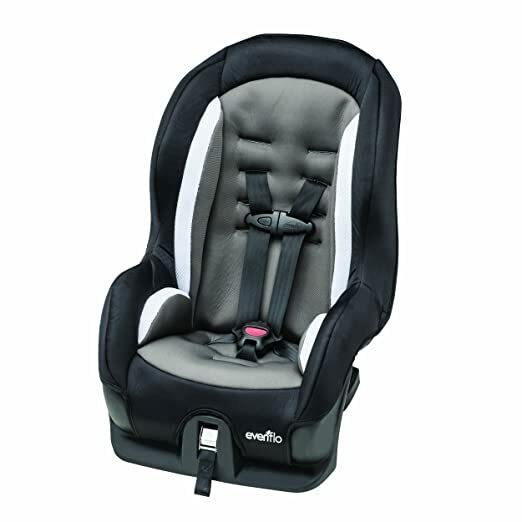 The Graco Highback TurboBooster Car Seat fits children from 30 pounds to 100 pounds. It’s a 2 in 1 seat and converts into a no-back booster. It features a multi-layer, adjustable headrest and full coverage back support in highback mode. Safety features include EPS, energy absorbing foam, and open loop belt guides to help ensure proper seat belt positioning. This Graco TurboBooster also has wide, padded armrests and cup holders to store drinks, snacks, and toys. 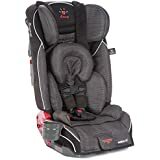 This entry was posted in Car Seat Deals, Car Seats, Convertible Car Seats, Infant Car Seats on September 10, 2018 by admin.